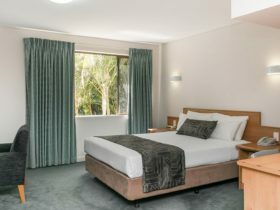 Stay at the conveniently located Best Western Plus Ascot Serviced Apartments, only five minutes from Perth Airport and nine kilometres from the Perth city centre. 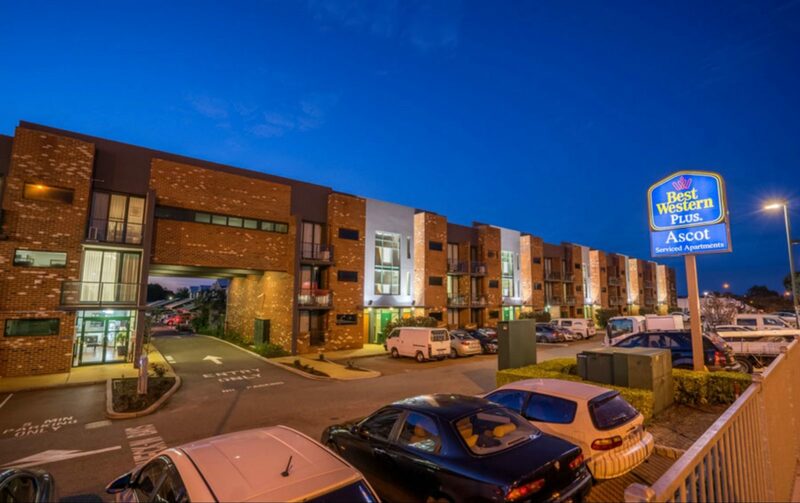 The apartments are situated on the Great Eastern Highway, providing a direct route to the city and easy access to other main roads. The Swan River is within walking distance. 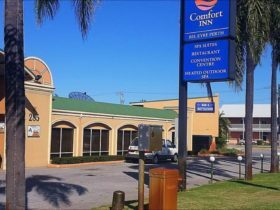 The Best Western Plus Ascot Serviced Apartments offer accommodation in Perth at an affordable price. Choose from spacious studios with cooking facilities or one and two bedroom apartments with fully equipped kitchens, separate living room and private laundry. 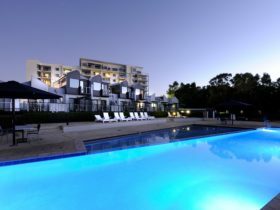 Other facilities at these Perth apartments include a swimming pool, barbecue and high-speed Internet access. Guests staying at the Best Western Plus Ascot Serviced Apartments will be close to great shopping on Belmont Avenue, the Belmont Forum, the world-class Ascot Racecourse, a cinema complex, a variety of dining options and local recreational facilities such as the Belmont Oasis – Sport and Recreation Centre, State Tennis Centre, a nearby casino, golf and the Crown Perth. 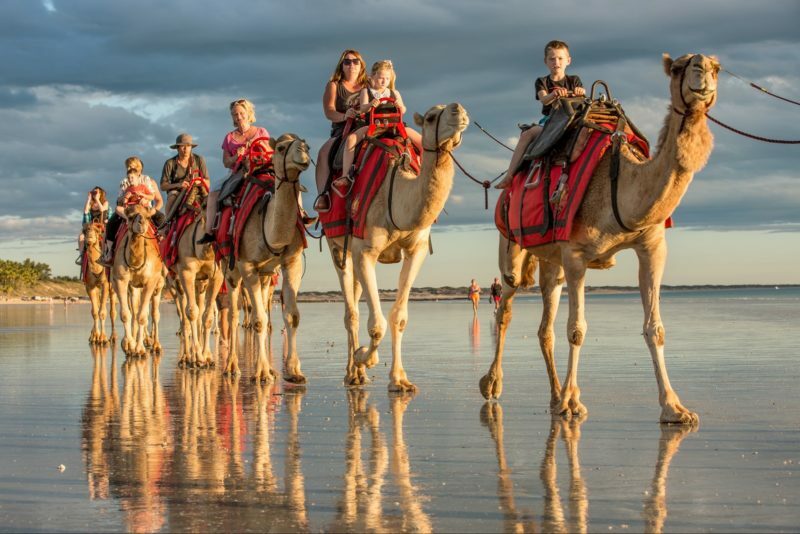 For superior service and a prime location close to Perth Airport and the city centre, make a reservation at the Best Western Plus Ascot Serviced Apartments today. 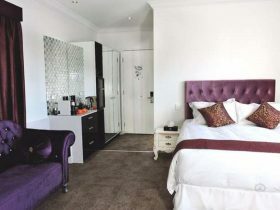 The Studio Apartment is ideal for short term accomodation. 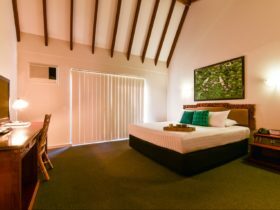 The room features either one queen sized bed or king bed, cooking facilities with bar fridge, two burner stove top and microwave, television, DVD player, broadband access, Foxtel, bathroom, iron and iron board and reverse cycle air-conditioning. Two Bedroom Apartments are dual key and interconnecting. Featuring, queen sized bed and king bed, two bathrooms, sliding wardrobes, sliding doors in the bedroom and lounge area to access outside balcony or courtyard area if on ground floor, reverse cycle air-conditioning, fully equipped kitchen with fridge, oven/grill, microwave, stove, utensils and cooking equipment, fully equipped laundry with dryer and washing machine, lounge area with two and a half seater leather couch and arm chair, television with DVD player, Foxtel, broadband access and phone with private number and voice mail. The One Bedroom Apartment is a very spacious choice and features queen sized bed, separate bathroom, sliding wardrobe, sliding doors in the bedroom and lounge area to access outside balcony or courtyard area if on ground floor, reverse cycle air-conditioning, fully equipped kitchen with fridge, oven/grill, microwave, stove, utensils and cooking equipment, fully equipped laundry with dryer and washing machine, lounge area with two and a half seater leather couch and arm chair, television with DVD player, Foxtel, broadband access and phone with private number and voice mail.